The Gentleperson’s Pinball Society (GPS) is a friendly, low-stress pinball club. We cater to players of all skill levels, with a specific focus on novice and beginner players. GPS will be playing on Wednesday evenings at Hi-Life in Oakland. 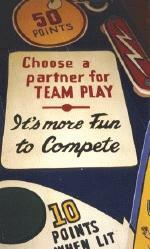 Seasons will be brief, with season finals played at Pacific Pinball Museum in Alameda. Our league is “middle investment”, meaning that members will be able to enjoy a complete league experience without long term commitment. Finals will be closed double elimination (3 out of 5) tournaments, with seeding based on performance in the season. Prizes will be given based on finals standings and overall season points. Scores will be tracked via a Google spreadsheet, complete with fancy analytics in order to help members track meaningful data. At this point, membership will be limited to a low number of participants. We will consider expanding the roster if we have significant interest and resources to expand. Please contact us if you’re interested in joining! 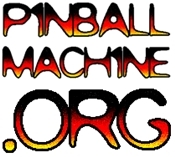 ← Welcome to Pinball Expo 1994!